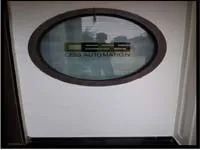 Established in the year 1995 at Ahmedabad (Gujarat, India), we, “CESS Automation”, have been engaged in designing, developing and supplying a wide variety of Industrial Automation Products. Our range of hi-end automation products comprise of AC Motor Drive, PLC Extendable Series, PLC Slim Series, Human Machine Interface, AC Servo Drives / AC Servo Motors, CNC Controllers / HUST Controller, Temperature Controllers, Timer/Counter/Tachometer, SUNX – Sensors and Industrial Communication Module. We have gained immense popularity under the guidance of our mentors, Mr. Harish Joshi and Mr. Chirag Shah, who hold in-depth knowledge and expertise in our domain of work. Their skills and business acumen have helped us in carving a niche for ourselves. It is with their combined efforts that we have climbed the ladders of success in a very short duration. 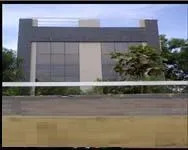 We have set up a wide infrastructural facility, which is equipped with the latest and the most modern machines. To work on these machines, we have a team of expert professionals who have complete knowledge about their respective fields. Together, they work in coordination with each other to come up with a superior quality range. Further, our quality control policies have helped in staying ahead of our competitors by delivering a quality approved range of products that are hugely appreciated across the country. Since, we are a quality conscious company, we aim at following strict quality norms and standards. We ensure that we maintain quality standards at all stages of production, right form the procurement of raw materials till our products are ready to be dispatched. For this reason, we conduct stringent quality tests, while performing the jobs, both, on-site & off-site. We are one of the eminent companies engaged in offering a wide variety of Industrial Automation Solutions to our clients as per their variegated needs. Owing to the expertise we hold in this domain, we are now reckoned as one of the most trusted developers of these automation systems. Since, we have nurtured a team of experienced professionals, they hold rich experience of their respective fields and have dedicated themselves in carrying out all our business activities effectively. Their expertise in their work has enabled us in manufacturing a superior quality range of Industrial Automation Products. Our Marketing professionals coordinate with the customers by understanding their exact requirements. They make dedicated efforts in delivering our products within the time specified by the customer, thereby, gaining their trust. Owing to the expertise we hold in this industry, we have gained immense popularity across the country. 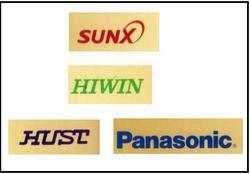 We are trader of SUNX ,HIWIN ,HUST ,PANASONIC products.